The Nominated list for the 2018 Social Media Awards is now live. Congrats to all nominees. Nominated but your nomination didn’t get through? Email team@sockies.ie and give us the email used and rough time/date of your submission as well as the Word backup of the nomination. Next comes judging, the finalists list and the ceremony on June 14th in the RDS Concert Hall. 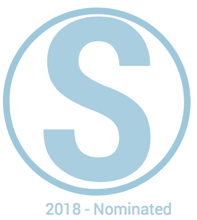 #sockies18 – the 2018 Social Media Awards take place in early June 2018. If you want to be told of Sockies 2018, join our mailing list. We are already starting to search out sponsors for the 2018 event. We are looking for headline and category sponsors. We also would like analytics and services partners. Sponsors can’t enter the awards, sponsors do not influence who they winners are. There are plenty of other events that can do that for you, this is not us. Still interested? More details on sponsorship. The 2017 winners are here. The headline sponsor for Sockies 2017 is SpunOut.ie, want to be a partner or sponsor? Update: All Finalists for 2017 have now been announced. Early Bird tickets are now on sale until Wednesday night and regular priced tickets are €75 from May 10th. Finalists do not get free tickets. Everyone that comes along must purchase tickets. Tickets on the door are going to be €150. Book online. There is no tabled seating, this is a theatre style event. Seats are not allocated. We expect a very big crowd this year so we’ll open doors at 6.30pm. We strongly advise trying to arrive around 7pm due to queues. The Nominated list is now live. If you want to make a very late nomination, the price is €400 per category and this needs to be paid in advance. Email team@sockies.ie to arrange payment. Next comes judging of the 800+ nominations from 200+ entities. Then we release the Finalists list. The ceremony for the event is on May 25th in the RDS concert hall and tickets for the event go on sale once the 2017 Finalist List is out. You can read who all the winners of the 2016 Sockies were here. Sockies 2017 – What are the details? Follow us on Twitter to get all the updates of when Sockies 2017 is on. Our mailing list is where you’ll first hear of the 2017 Sockies. It’s up to you to keep yourself informed via these two outlets about the event. Want to be a sponsor for Sockies 2017? We’re starting to look for suitable sponsors for the 2017 event too. If you want your name and logo in front of 500 of the best people that work in social and digital in Ireland then fire us an email: team@sockies.ie Headline and category sponsorships are available. Lidija Vasiljeva – Logos, graphic design. Kasia Janus, Antony Ramirez Ferrigno, Premkumar Kanmani – Coordinators for The Sockies. All our dozens and dozens of judges who make sure all the entries are judged fairly. Thanks too to the teams from Maximum Media and Radical for entertaining us with their lip-sync battles and showing the few 100 people who were never at a Sockies, what the spirit of the event is about. This entry was posted in Uncategorized on May 26, 2016 by admin. Winner photos. Winners have permission (once attribution given) to use these photos. Trophies were all hand made so duplicate trophies are about €100 each if ordered in batches to keep costs down. 2015@sockies.ie if you require one or more. The Sockies have a mailing list, nominations for 2015 are closed but details for 2016 will go out here. This is where you’ll first hear event details. Niall McGarry and Maximum Media. 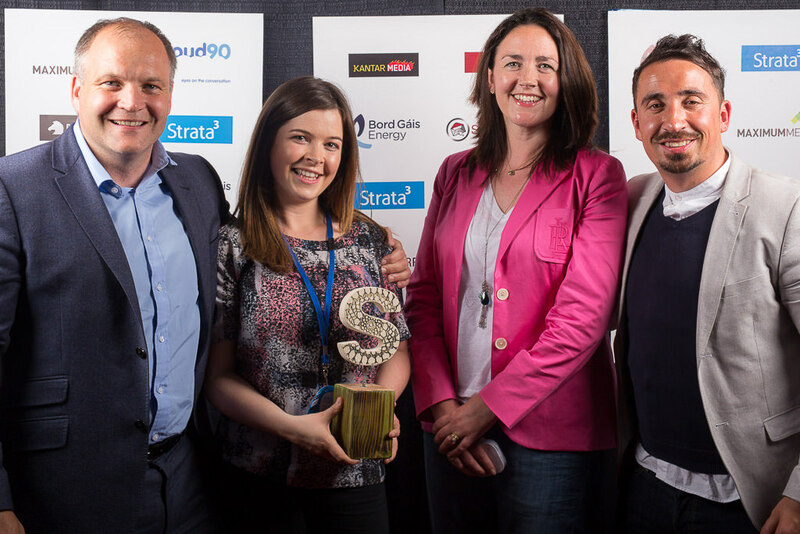 Cloud90, Kantar Media, Blacknight, Strata3, Sensorpro, Castaway Media, Berocca, Fandom. Katie and Caitriona from Maximum Media in particular who were great to work with on this project. Conor Barron and Claire Smith from Bord Gais Energy. Mangan for voiceovers, the staff of the RDS where the WiFi was excellent all night and who were utterly professional. CIT superstars: Mary Durango, Matthew Donovan, Jessica Jeffery, Mark Doyle. Hire them! Lidija Vasiljeva for her graphic design. You should all run your own events as there are loads of things you can do to honour people that work in an industry that’s not represented or the only events are a bit formal. And Mulley Comms just happens to have a nomination and judging system that you can use. This entry was posted in Sockies 2015 on June 4, 2015 by admin. New home in digital and location. This is our new digital home and the event itself will be in the RDS Concert Hall on June 3rd.